As we look ahead to a post-Brexit UK, it’s never been more important to stay up-to-date on the most impactful issues in the industry. That’s part of why we are looking forward to meeting you at the CV Show. The UK’s largest and most comprehensive road transport and commercial vehicle event, the CV Show looks at the latest in technology and news around the road transport industry. Taking place at the NEC in Birmingham, UK between April 30 and May 2 and you can meet us in Hall 4 at Stand 4D50. The CV Show is where UK operators of vehicle fleets of all sizes and variants (whether heavy or light commercial) come every year to see the innovation and technological developments in the industry. 20,000 visitors are expected to visit the halls of the show across the three days. Key themes will be the future of diesel and its alternatives, electric vehicles, environmental concerns, congestion charges in UK cities and ways to mitigate driver shortages. 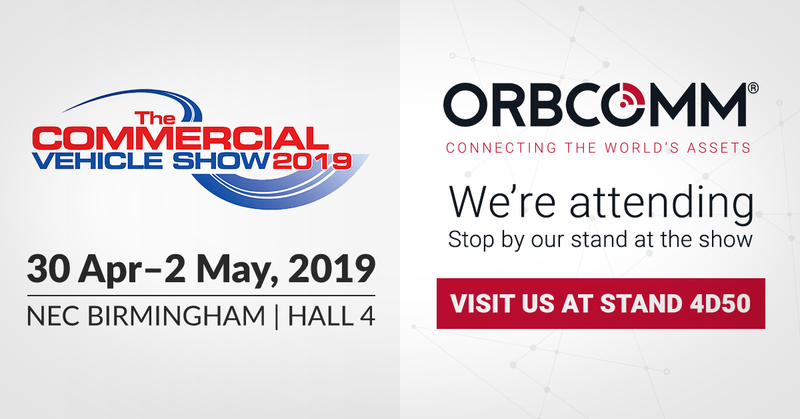 It’s not just about autonomy and driverless technology, connectivity too will be high on the CV Show agenda.We will show telematics for the entire connected fleet, for trucks, vans, trailers, refrigerated vehicles, intermodal containers and buses, and you can learn how to track, monitor and control all your vehicles from one platform with the industry’s most complete fleet management solution. Safety and compliance managers will be interested in TachoVision developments. Planners and dispatchers use it to plan jobs and workflow in advance with live access to complex, hard-to-calculate, forward-looking tachograph data. As well as tacho data, we will demo the entire truck management solution. It gives insights into driving styles, productivity and economy, which can improve vehicle performance and enhance safety. This is vital for operating economy, road safety, and environmental impact, and allows us to provide driver training and personal coaching, as well as on-board driver-focused systems. The CV Show also satisfies the special requirements of the temperature-controlled operator, with a vast display of refrigerated transport and cold chain equipment to choose from.We will showcase devices and software that deliver complete cold chain visibility, compliance and control for refrigerated rigids and trailers, including GAMP 5 certifiedHACCP-compliant temperature recorders. The new GT 1200 series is available as an all-in-one, feature-rich tracking device with integrated cargo sensors delivers powerful remote asset management and cargo status detection capabilities with minimum wiring. For fleets with dry trailers and containers, ORBCOMM will showcase the GT 1200 Series. Delivering enhanced visibility for dry trailers and containers, it provides advanced solar-powered tracking with integrated cargo sensors in one device. We look forward to meeting maintenance managers attending WORKSHOP, an integral part of the CV Show which focuses on the need for regular vehicle commercial vehicle maintenance. Visitors to our stand who are looking for better uptime and smarter maintenance planning can see how telematics helps to meet those objectives based on real-time operational data and actual vehicle usage. Buses won’t be forgotten at the CV Show, where we will demo our telematics platform (based on the BT 500) for bus fleets. Our software works in real-time with the 12 Day Bus Rule, where coach drivers on a single international coach tour can work for up to 12 consecutive days provided they follow specific rest and break rules before during and after the trip. Are you going to be there? Schedule a meeting with us or drop by Stand 4D50 in Hall 4 and we’ll arrange a time to meet that’s convenient for you. Or, contact us at info@orbcomm.com.